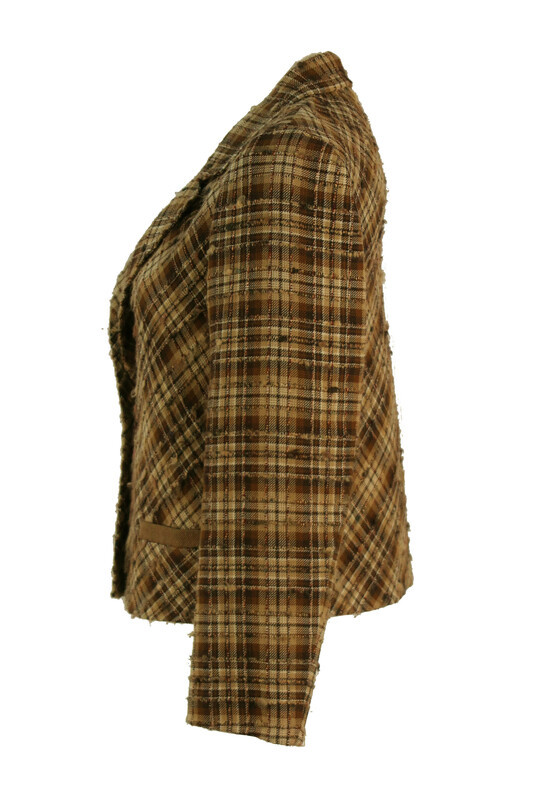 Textured wool & alpaca jacket in a Prince of Wales check in autumnal tones of cream, beige, camel and brown. 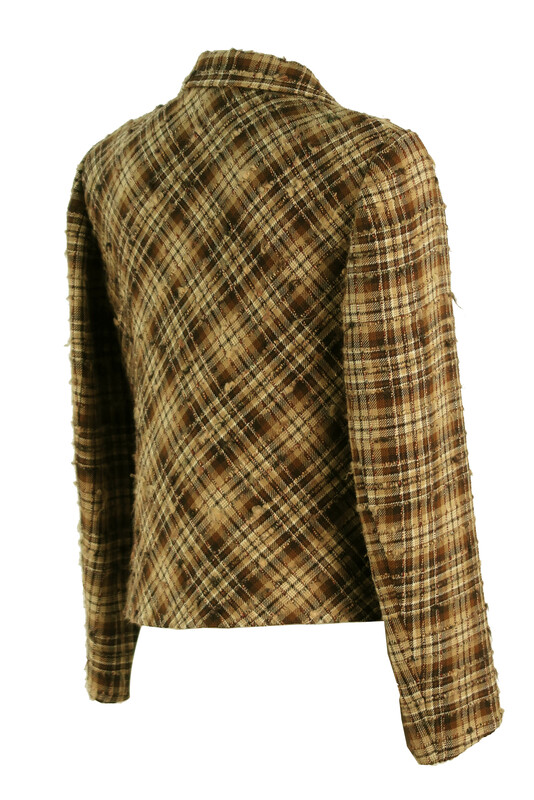 Other design features include two side pockets edged with a soft brown wool trim. 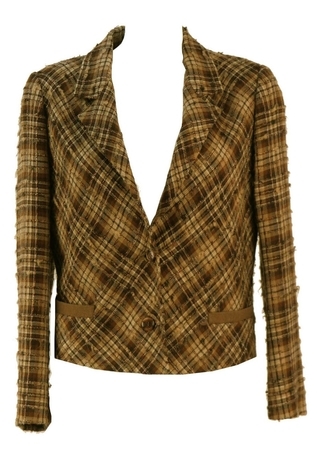 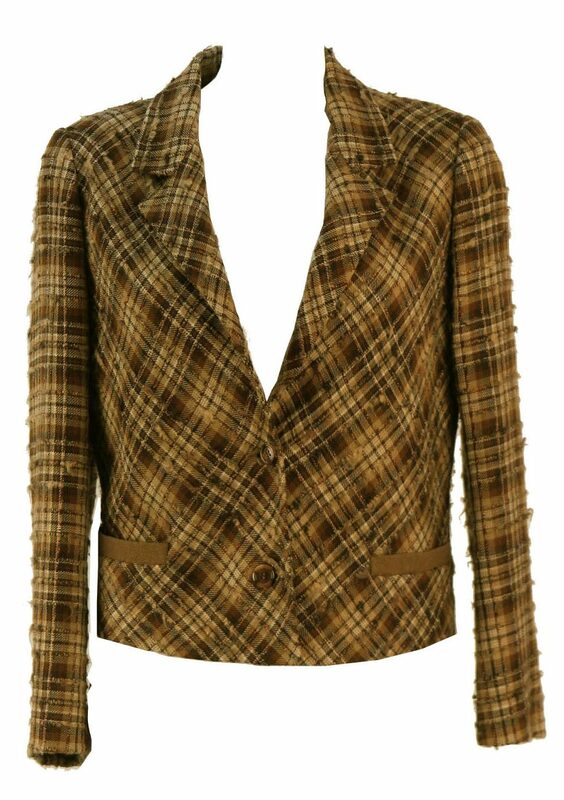 The jacket has a cropped, box shape cut to it and therefore has a relatively loose, casual fit.